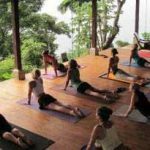 CST is regulated by the Costa Rican National Accreditation Commission and consists of a scale of 5 “levels” of sustainable tourism achievement. Level 1 indicates that a company is taking it’s first steps in the process of sustainability,while 5 indicates a superior or outstanding achievement in sustainability. CST was designed to include direct incentives to companies making steps towards sustainability.These incentives grow proportionally with the levels achieved. 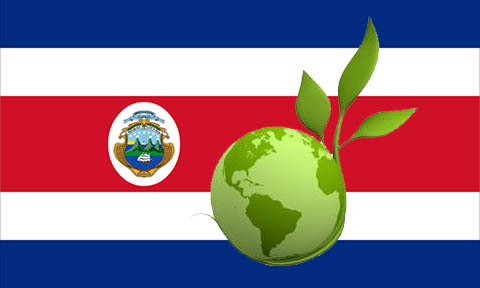 Blue Flag is also a product of the Costa Rican Tourism Board (ICT). Their main objective is to keep coastal communities pollution free. It recognizes and awards coastal communities with a blue flag based on 5 main categories. Communities must achieve 90% in order to be awarded the blue flag. Once the blue flag has been awarded, a community can receive between 1 and 4 stars based on additional criteria. The CNE works as the lead agency in dealing with emergencies and natural disasters and works at integrating different levels of first responders. CNE maintains constant communication with scientific bodies like the National Meteorological Institute, Universities & different Technical Advisory Committees. It works to detect early warnings of natural disasters and to mitigate the impact of those disasters. Once a disaster occurs, the CNE provides all the technical and financial support of the community affected. If warranted, they are also obliged to use Emergency Funds to support emergency care and also work to restore and rehabilitate those areas affected by the disaster. The Costa Rican Tourism Board is the government agency responsible for promoting tourism and specifically, sustainable tourism, in Costa Rica. They are also the instigators of Costa Rica’s “Blue Flag” program which promotes the care and conservation of Costa Rica’s beaches and coastal communities. InBio is a private research and diversity management centre that supports all efforts made to gather knowledge on Costa Rica’s biodiversity and promote sustainability. They are non-governmental & non-profit and they focus on inventory and monitoring of the country’s ecosystem, conservation efforts, communication and education, bio-prospecting & informatics. CES is an organization that raises funds for the private sector by selling certificates that offset pollution. Its main objective is to conserve the forests by funding those individuals and businesses that can protect it. Purchasers can choose to help safeguard water (Recovery and Protection of CR’s watersheds), Conserve the living Forest ( Recovery and Protection of CR’s Forests) OR they can choose a Clean Travel certificate that offsets the carbon footprint left by their journey. The National Chamber of Tourism is a private tourism organization that represents the interests of its members , offers benefits , provides services and supports the union of public and private efforts to enhance sustainable development of the sector. It works to promote Responsibility & Sustainability, Ethics & Integrity, Solidarity & Unity, Leadership & Proactivity, Excellence & Innovation.